When snow hits the slopes, no skier or snowboarder longs to sit indoors to read a book. But in the off-season or between trips to the ski hill, books can keep your head in the game. 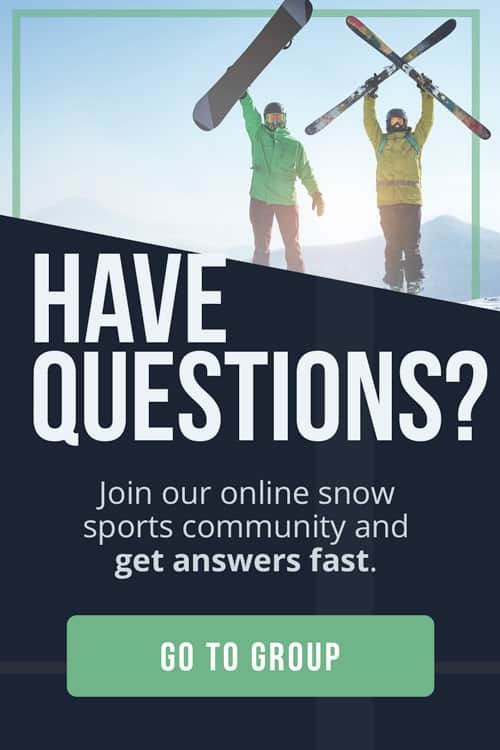 If you want to round out your knowledge of the sports or simply find gifts for the skiers or snowboarders in your life, you’ll want the best skiing books available. 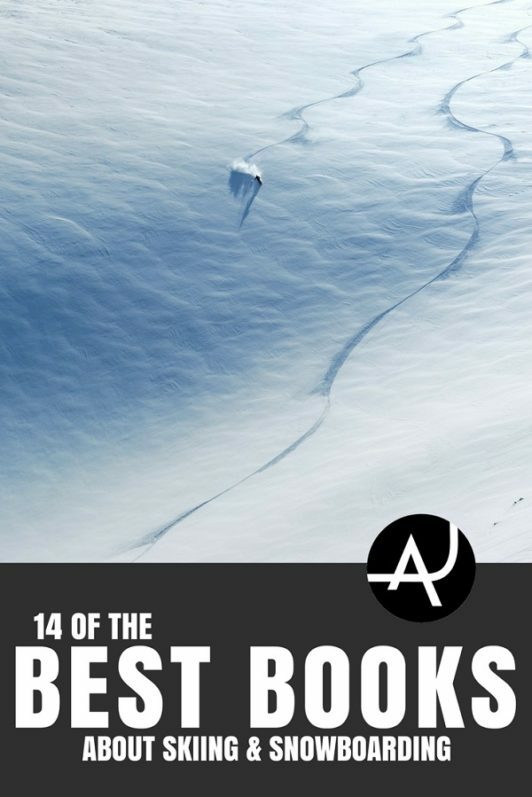 We at The Adventure Junkies have compiled a list of the 14 best skiing books for yourself or for gifts. 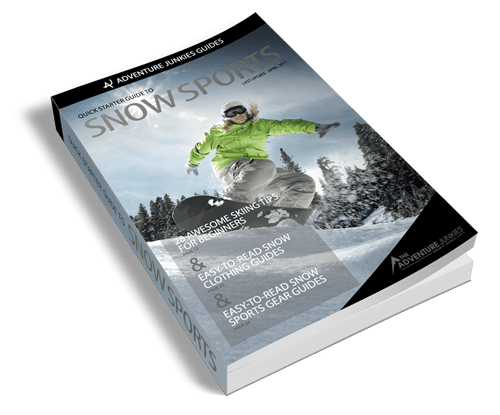 For seasoned skiers, these books provide the backbone for knowledge about the sport, including instruction and history. Some give a glimpse into the lives of famous skiers; other provide essential information on snow safety and the world’s greatest places to ski and ride. We’ve also included a fun book for kids learning to ski. Check out the list. 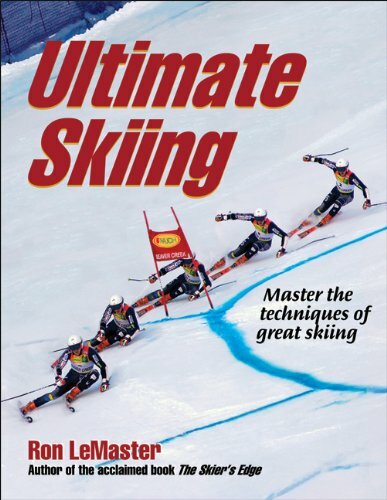 With 30-plus years as a ski instructor and race coach, Ron LeMaster is highly qualified to describe techniques for the sport in his Ultimate Skiing (Human Kinetics, 2009, 224 pages). 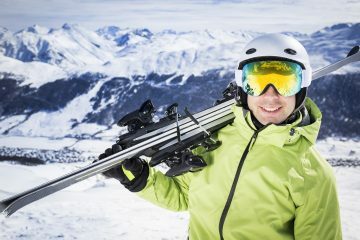 Instead of discussing different elements in isolation, he connects the snow, equipment, and kinesthetics with an emphasis on the physics of movement . Photos and 3-D diagrams help to explain the biomechanics. 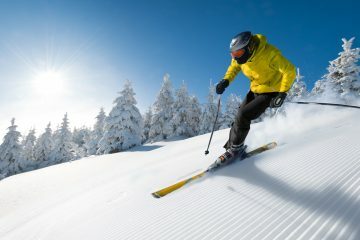 While it’s above beginner levels, intermediate and advanced skiers can put the detailed, technical descriptions to use. 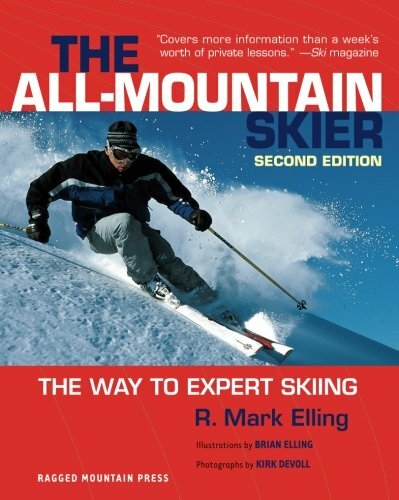 Targeting skiers who want to be experts mountain-wide in all conditions, R. Mark Elling doles out practical advice in The All-Mountain Skier (International Marine/Ragged Mountain Press, 2002, 240 pages). He first tackles what he calls the “toolbox,” the collection of necessary basic techniques such as stance, steering, edging, and body movement. Drills you can take to the slopes follow the techniques. The mid-section of the book addresses gear. The third section is a “how to” for expert skiing powder, trees, and steeps. Who better to tell the story of modern skiing than John Fry. 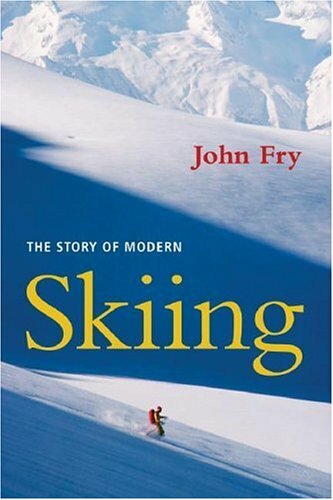 Named to the U.S. National Ski Hall of Fame for his journalism and contributions to skiing over the decades, Fry takes readers from fledgling rope tows powered by truck engines to the world of mega-resorts in The Story of Modern Skiing (UPNE, 2010, 380 pages). The spark comes from personal insights delivered with humor and riveting detail. 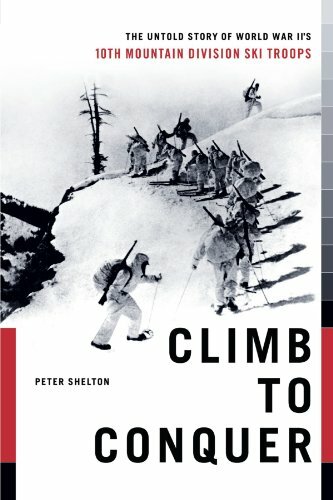 Peter Shelton, who has written for Ski magazine, chronicles the U.S. Army’s 10th Mountain Division in Climb to Conquer (Scribner, 2014, 288 pages). Trained specifically for winter, skiing, and mountain combat, the division launched in 1943 and fought in some of Italy’s most mountainous terrain. After the war, many of the division’s skiers went on to start up ski resorts. 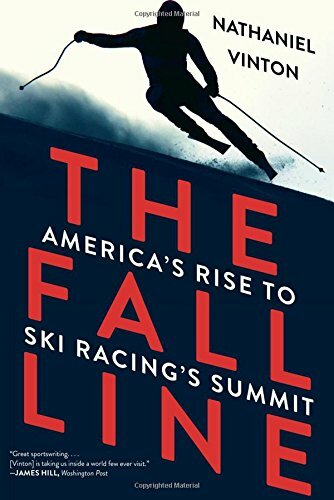 Sports writer Nathaniel Vinton plunges into World Cup ski racing in The Fall Line (W.W. Norton and Co., 2015, 384 pages). With detail on and off race courses, he takes readers into the world of Lindsey Vonn and Bode Miller, among other ski racers in leading up to the 2010 Olympics. 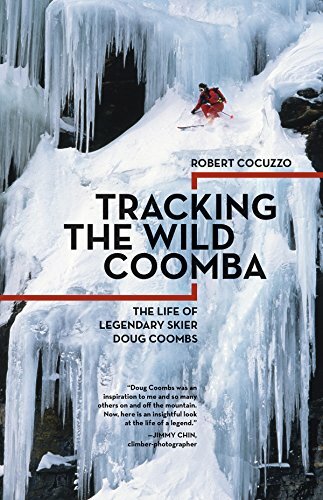 Robert Cocuzzo’s Tracking the Wild Coomba (Mountaineer Books, 2016, 242 pages) profiles Doug Coombs, a pioneer of extreme big mountain skiing. With descents to Coombs’ credit such as Jackson Hole’s Grand Teton and Antarctica’s Mount Vinson, Coombs skied big mountains around the world where mistakes produce fatal consequences. He pushed the art of adventure skiing further until he died from a fall while skiing in France. Warren Miller single-handedly launched action sport films. Starting with his first film in 1949, he annually churned out ski movies, narrated by himself. 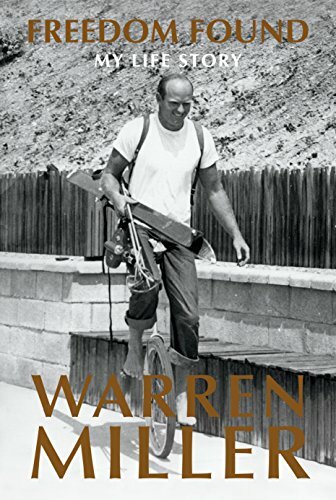 His humor and understated storytelling continues in Freedom Found (Warren Miller Company, 2016, 512 pages). 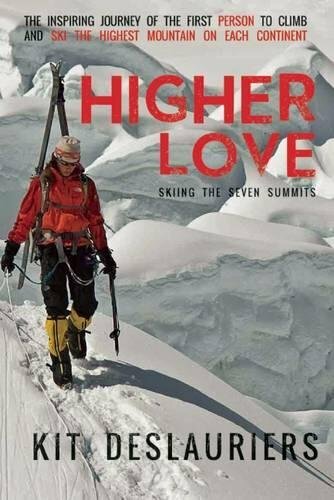 Kit DesLauriers pens her own skiing achievement in Higher Love (Archer, 2015, 512 pages), which tells the story of her quest to ski the tallest mountain on each of the seven continents. The climbs up Denali, Elbrus, Vinson Massif, Kosciuszko, Aconcagua, Kilimanjaro, and Everest are demanding enough, but the descents put DesLauriers in the record books as the first skier to drop the precipitous routes down these peaks. 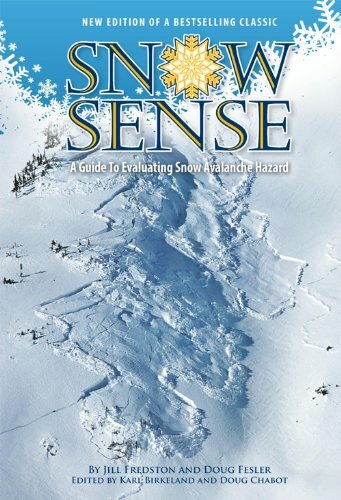 Written by avalanche experts, Snow Sense (Alaska Mountain Safety Center, Inc., 5th edition, 2011, 132 pages) should be on the required reading list for any backcountry skier. 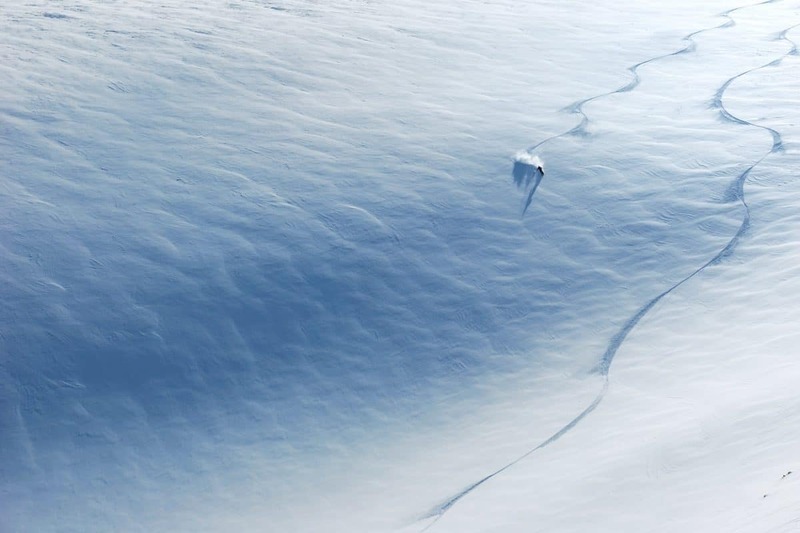 The book examines four aspects that contribute to avalanche accidents and fatalities: terrain, snowpack, weather, and human factors. 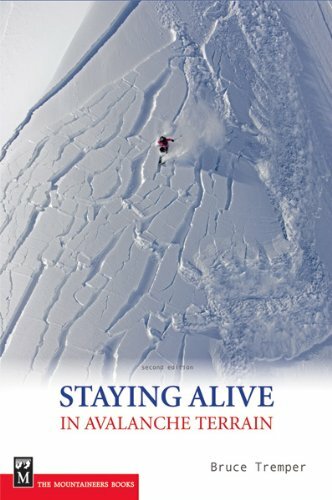 Written by avalanche expert Bruce Tremper, Staying Alive in Avalanche Terrain (Mountaineers Books, 2008, 320 pages) follows the American Avalanche Association standards for avalanche safety. Using recent snow science, the book identifies what it takes for skiers and snowboarders to stay safe in the backcountry, including procedures to assess risks. 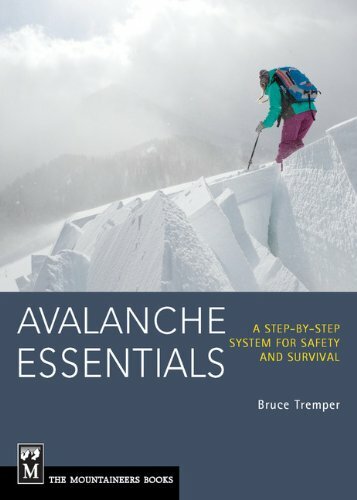 For a more condensed version of Bruce Tremper’s avalanche expertise, this pocket guide whittles avalanche safety down to Avalanche Essentials (Mountaineers Books, 2013, 176 pages). 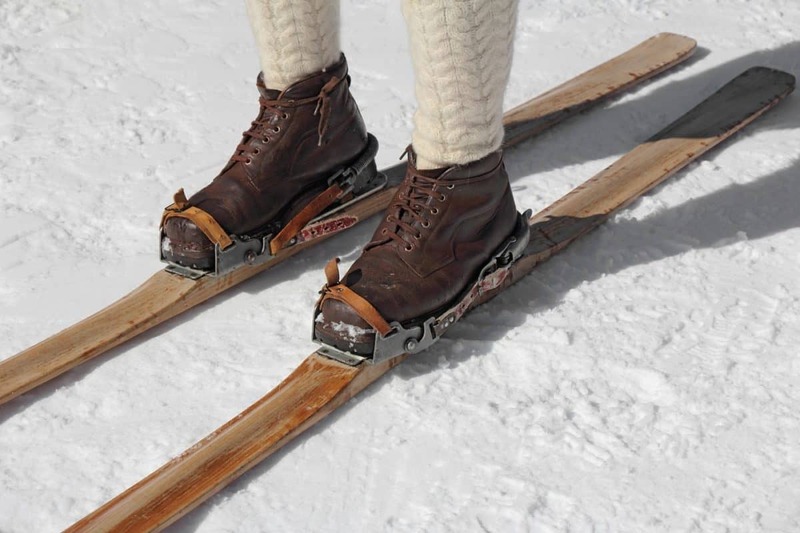 Its condensed form can go insides the pack of skiers, snowboarders, and snowshoers in the backcountry. 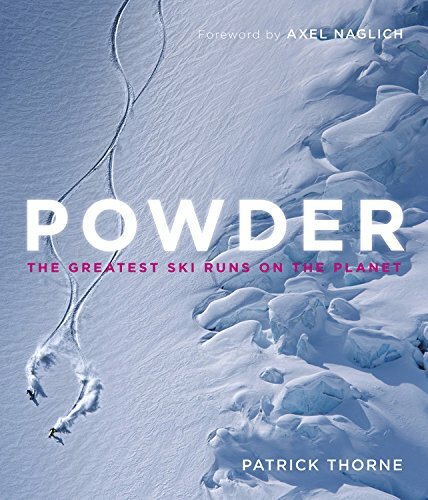 Patrick Thorne presents a treat for the eye in Powder (Quercus, 2014, 224 pages). 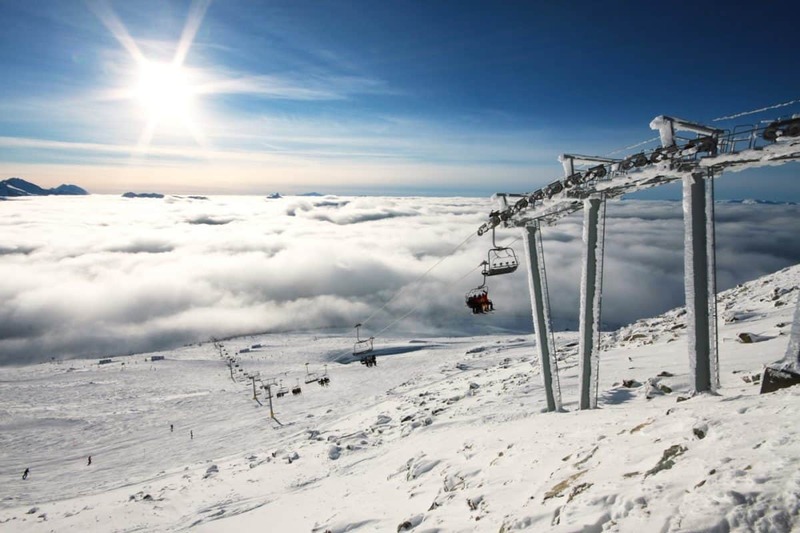 Spectacular photos of 50 expert runs around the world make you want to ski every one of them. While lack of skill and the consequences of failure may (and should) deter many, the list is still inspirational for even armchair dreamers. Those with the expertise can tackle them all. 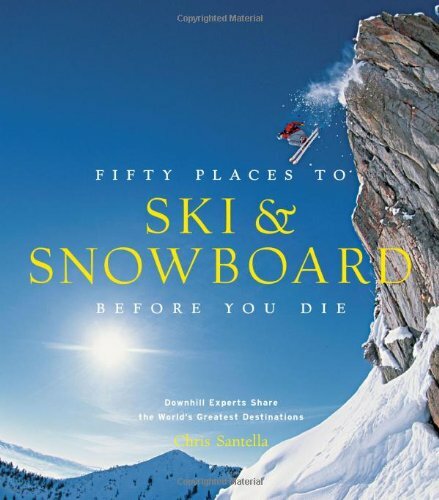 Chris Santella collects a roundup of the best places to ski and ride in the world in Fifty Places to Ski and Snowboard Before You Die (Stewart, Tabori & Chang, 2013, 224 pages). Experts such as Jonny Moseley and Tommy Moe each recommend a destination which range from Alaska to New Zealand. 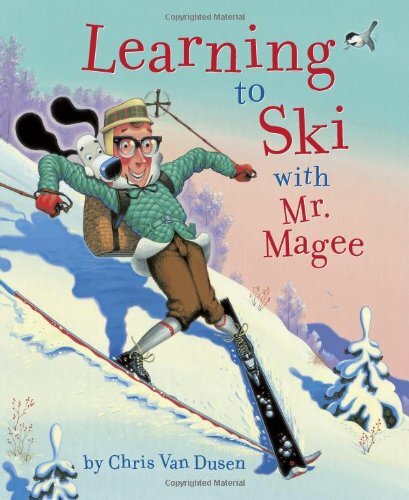 Illustrator and children’s writer Chris Van Dusen continues the mishaps of his hero and his dog in Learning to Ski with Mr. Magee (Chronicle Books, 2010, 36 pages). The book targets ages 3-7. Rhymes make the words sing, and superb illustrations attract the attention of kids. It’s a good story for kids who might be fearful of ski lessons.